On June 1, 1901, Pineda was incorporated into the Province of Rizal. Antonio Dancel was appointed a provincial governor and Pascual Villanueva as municipal president. On August 4, 1901, a resolution was passed petitioning that the original name of Pasay be returned. On September 6, 1901, the Philippine Commission, acting on the request of the townsfolk, passed Act No. 227 renaming Pineda back to Pasay. Two years later, on October 12, 1903, Act No. 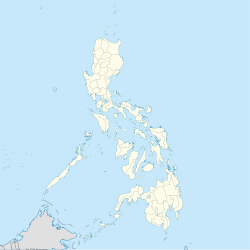 942 merged Pasay with the southern municipality of Malibay, expanding its territory. 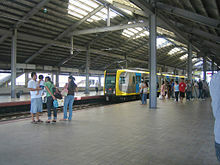 With a population of 8,100 in 1903, Pasay was placed under the fourth-class category together with 9 other municipalities. Under the Köppen climate classification system, Pasay features a tropical savanna climate ( Köppen climate classification Aw). ^ " About PAL." Philippine Airlines. Retrieved May 19, 2009. ^ " Contact Us." Spirit of Manila Airlines. Retrieved September 13, 2010. ^ " Call Center / Guest Services / Product Ideas Archived April 1, 2010, at the Wayback Machine." Cebu Pacific. Retrieved March 31, 2010. ^ " Contact Information Archived October 14, 2010, at the Wayback Machine." Interisland Airlines. Retrieved August 11, 2010.